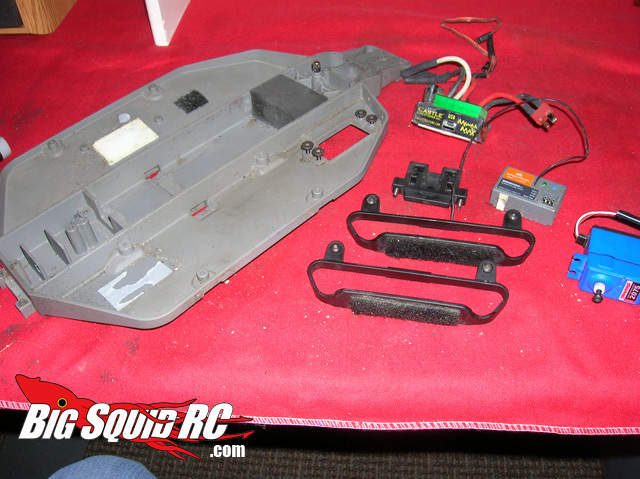 Thunder Tech – Traxxas Slash Outlaw Chassis Kit Review « Big Squid RC – RC Car and Truck News, Reviews, Videos, and More! 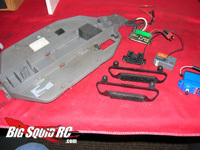 Retail Price: $85.00 – Can be used with Traxxas Slash, Rustler and Stampede. 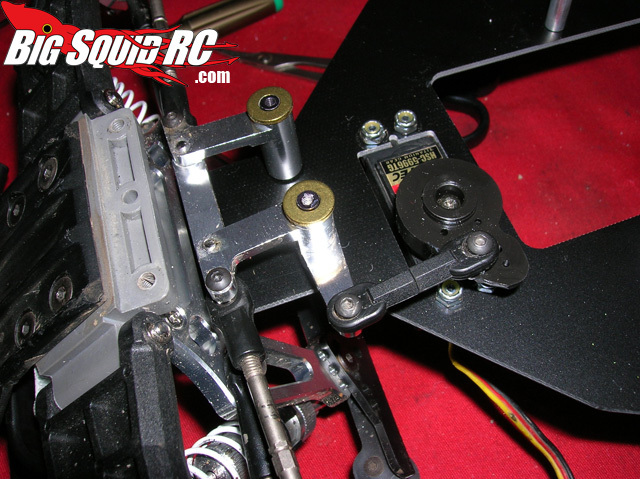 A bone stock Slash is good at finding traction on slick surfaces and being generally a neutral handler. Due to this design, it’s easy to drive for everyone from expert to novice, but suffers while cornering at high speeds, often times wanting to flip over. Adding the Thunder Tech Outlaw chassis to a bone stock Traxxas Slash makes an already great platform even better. 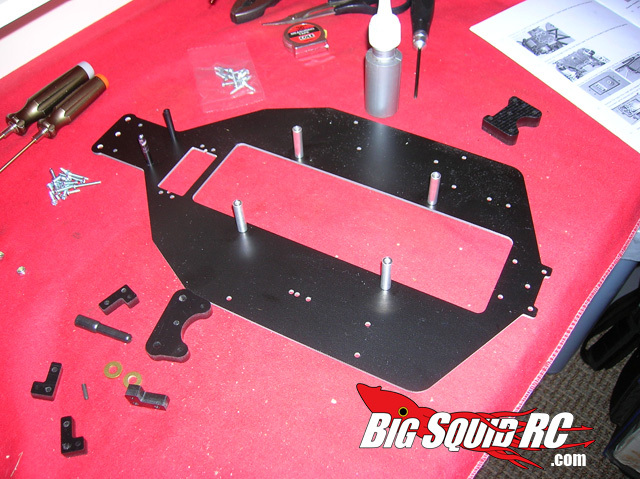 Stock geometry is maintained with the Outlaw chassis, while the single heaviest part of the truck, the battery, is moved to a lower position. This results in a much lower center of gravity. Because of this low cg design, less weight gets transferred in corners, making the truck easier to drive and less likely to flip over. In a series of low speed tight corners, the truck feels much more nimble, carving up the twisty’s like a hot knife through butter. 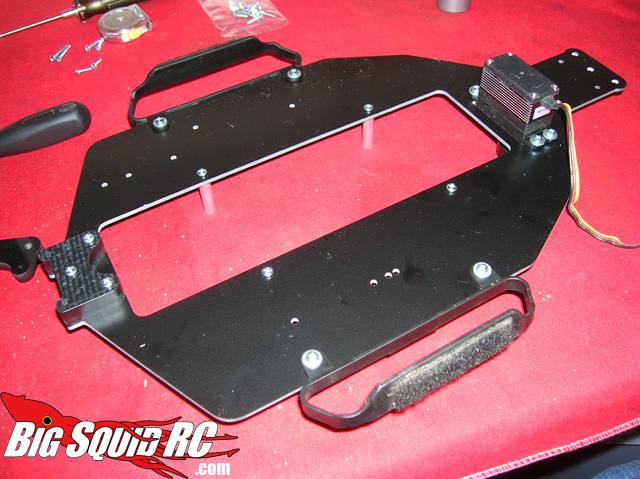 The Outlaw chassis also maintains a very neutral feel. This allows you to steer hard into a corner, or to tap the brake at entry and use the rear of the truck to steer out of the corner. 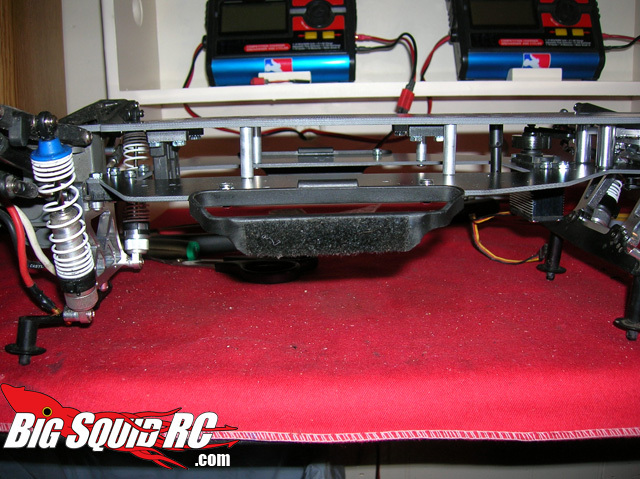 While a stock Slash drives very well, the Outlaw chassis makes you feel like you are Superman, doing things that are simply impossible with the stock chassis. This feeling is only enhanced when bolted into a fully modified Slash. A mod Slash running big brushless power quite easily pushes the stock chassis beyond it’s limits, but big power feels awesome when used with the Outlaw. 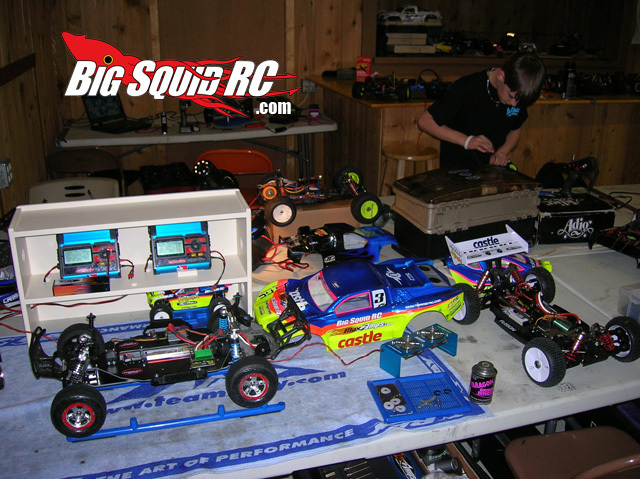 Is the Outlaw so good that it can make a bad driver faster than a good driver using the stock chassis? No, but if two drivers of equal skill are racing, the guy running the stock chassis doesn’t stand a chance against an Outlaw. 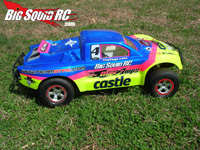 Does the Outlaw transform the Slash into a machine capable of beating the upcoming Associated SC10? Impossible to tell without running them head to head, but I can say for sure that the Outlaw sets the bar very high and is going to be damn tough to beat. 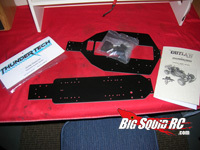 The Outlaw chassis comes with a very well written and illustrated manual. Steps are well thought out and very well explained. If you take your time, read the manual, and look at the pictures, the Outlaw is very easy to install. 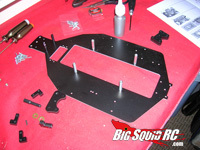 During my build, I spent about two and half hours installing the chassis, but I took several breaks, and was writing down build notes and taking lots of pictures. I would think a typical person could install the chassis in about an hour and a half. 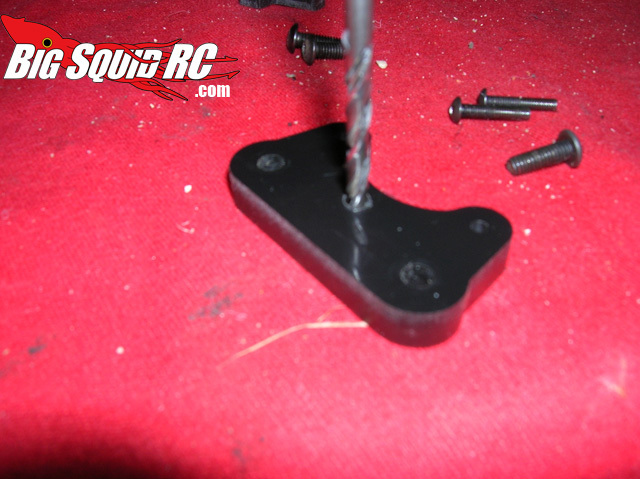 I only came across one snafu doing the build, this occured in step 19, where the center hole in the front spacer block did not have a large enough hole pre-drilled. This was an easy fix, as I used a cordless drill and a slightly larger bit to make the hole bigger. I was not a fan of the included philips head screws, but they do the job, are standard 4/40, and are easily replaced with better quality hex heads. The use of Loc-tite was denoted as “optional” in the manual, but I would highly advise the use of it on all metal to metal connections or else you will have screws falling out. Otherwise, everything was made out of quality materials, fit was excellent, and went together as well as the stock parts. It’s quite obvious the guys at Thunder Tech did a great job on the engineering behind this product. 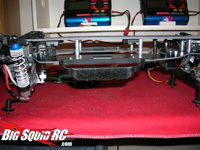 The Outlaw chassis is set up for use with the stock size servo. If you aren’t in the know, the stock Slash servo is a goofy size, slightly larger than a normal servo. 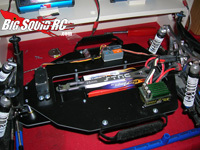 If you go to the effort of putting such a good chassis on your Slash, do yourself a favor and install a quality metal gear servo at the same time. 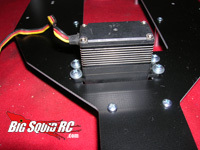 A standard size will still bolt up with the hardware provided by Thunder Tech, and will give much better performance and lifespan than the stocker. 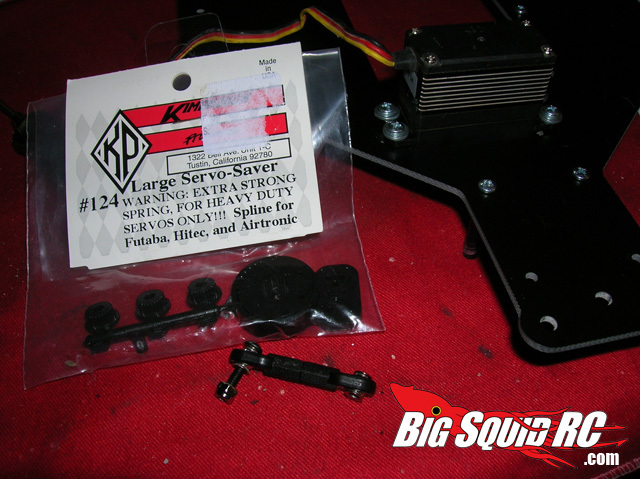 While you are at it, ditch the stock servo saver which is too weak and tends to break, and replace it with a “heavy” Kimbrough. These two changes alone will give much better performance and will allow you to get the most out of your Outlaw. 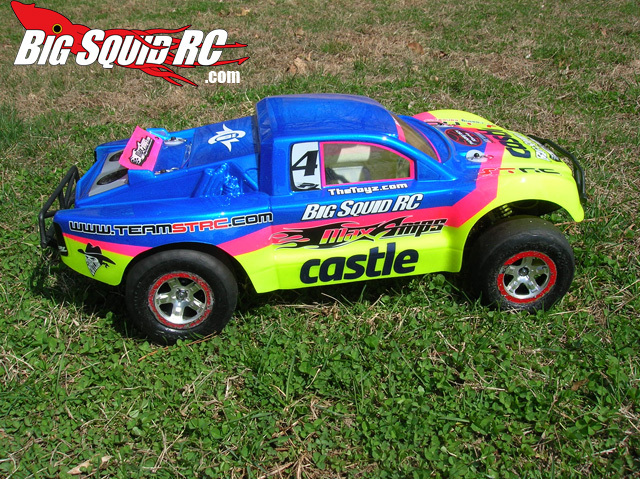 My durability testing consisted of driving it under stock power on the street, and full mod form in carpet racing. Various crashes, rolls, and curb strikes had left no breakage. 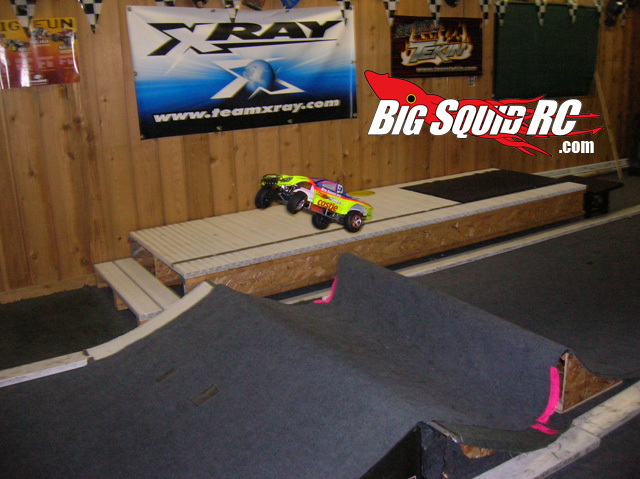 Under big Mamba power on the carpet track, it survived numerous crashes and encounters with the walls and pipes. 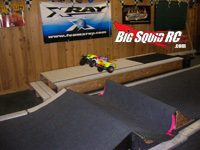 I was also airing out the truck big on the quadruple jump at The RC Shack, coming up short and fully casing it on the landing jump. 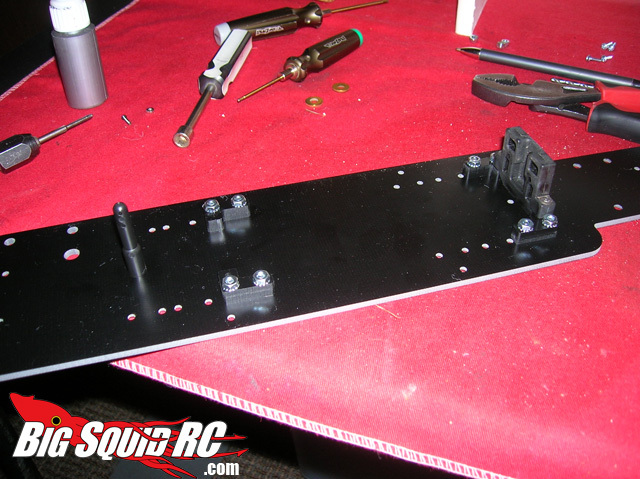 This is the absolute worst torture for a chassis, and the Outlaw come through with absolutely no breakage. 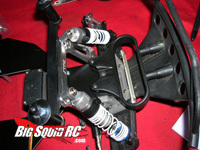 Very tough chassis. 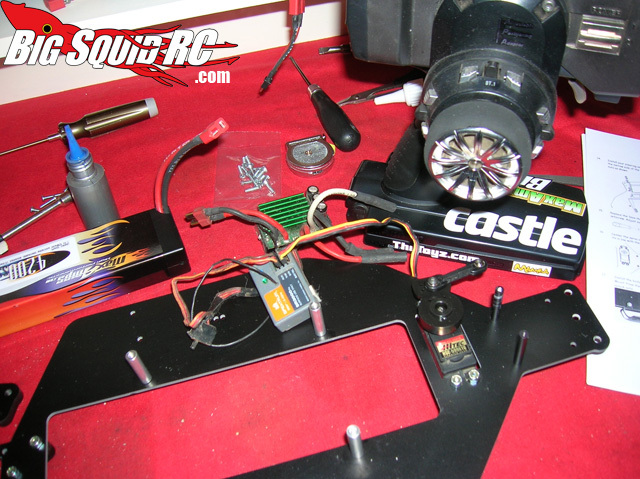 Time To Bash – 9.0/10 -Under two hours, not a fast mod, but not bad for a complete chassis change! Workability – 8.0/10 – Majority of the install was absolutely flawless with only one minor glitch. Car Show Rating – 7.0/10 – While it doesn’t look bad for it’s design, this isn’t a bling-bling part, this is a go fast mod. 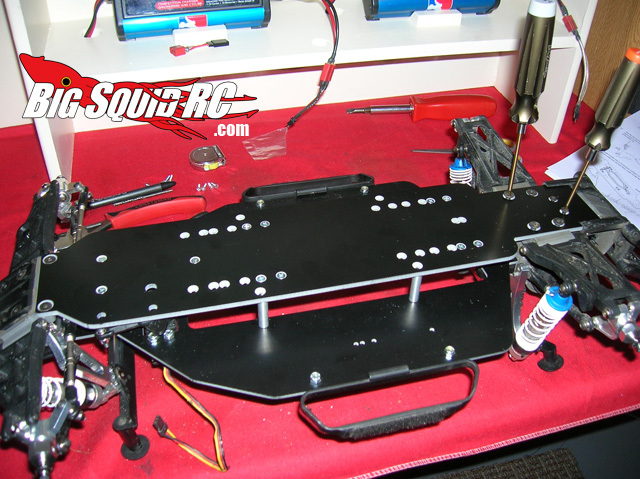 Look elsewhere (and price points) if you are looking for a platinum plated chassis. Bash-A-Bility – 10/10 – Absolutely zero breakage, even after repeated semi-severe beatings. 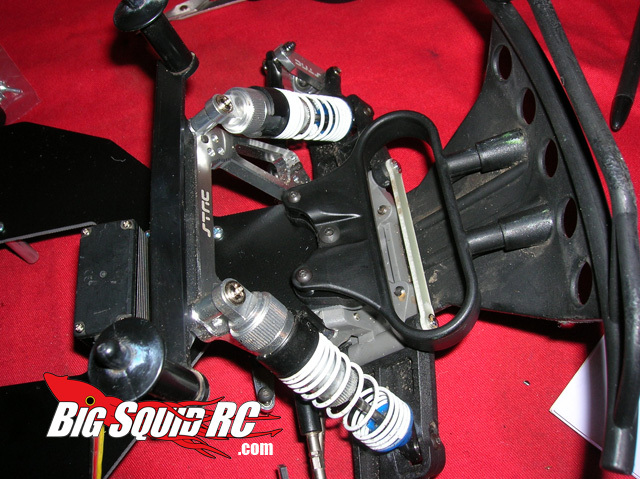 Big Squid Rating – 9.0/10 – Tentacles.. Transforms the mild mannered Slash into a full blown race machine. 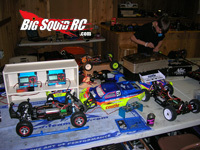 Make sure to tell them Big Squid RC sent ya when you pick one up!